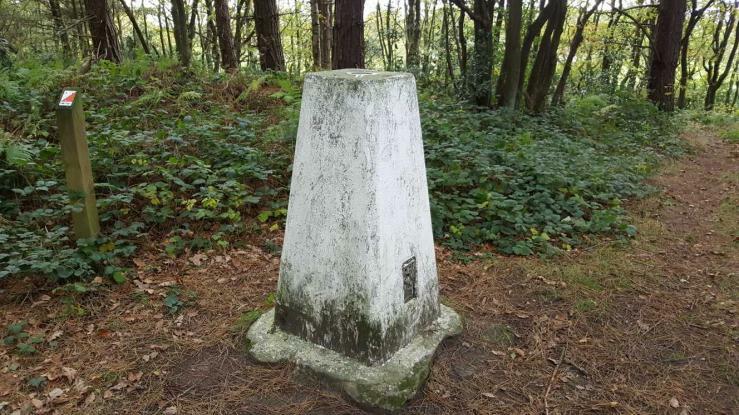 There are 50 photos for this trigpoint (view album). 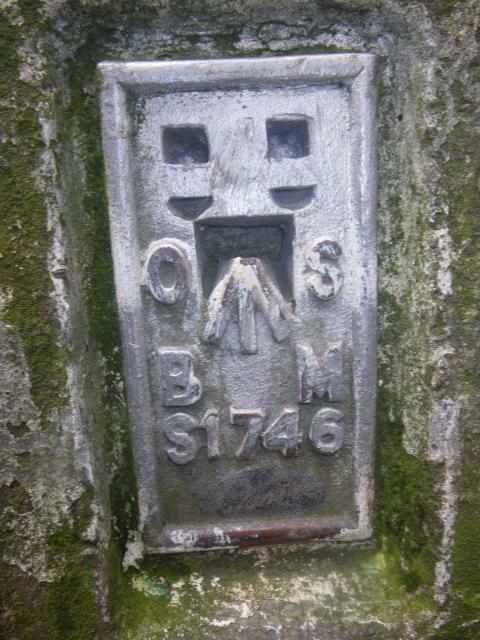 Is ranked joint 11506th with 64 other trigs (more). See 41 more in the album. On ridge line in open pine forest, W side of track, well visited. Handy parking on the minor road just to the north west at the end of the of the footpath. Decent condition, no views. 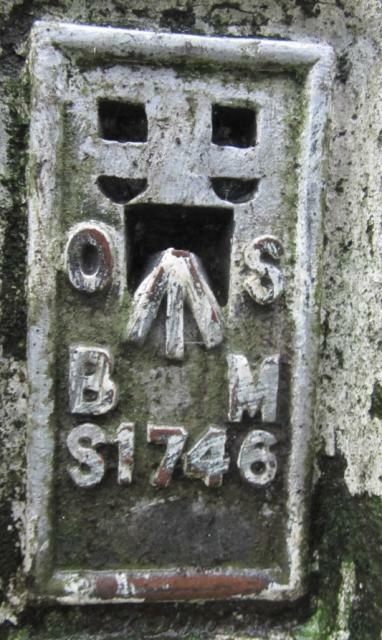 Parked by entrance to adjacent telecoms mast to the West of trig. 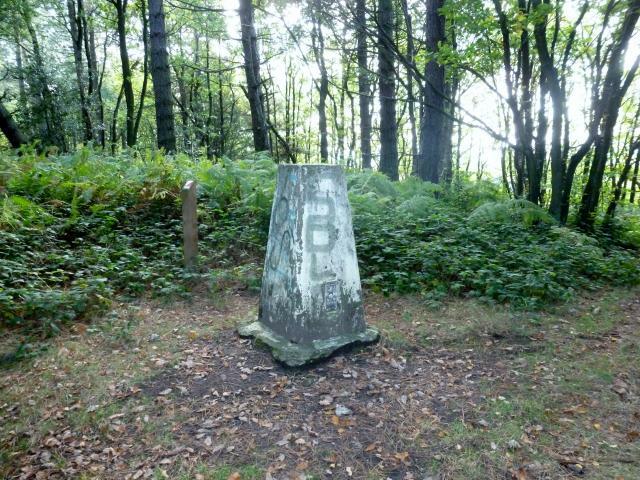 Took the path into Greno wood and reasonable easy stroll up to the Pillar. 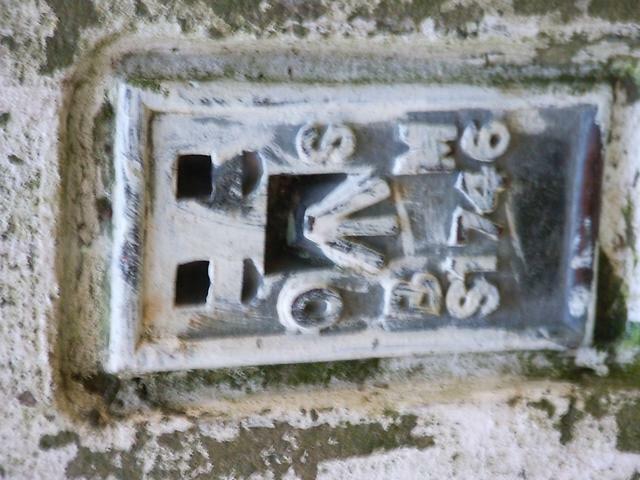 plug removed. Top of pillar being used as a bird feed station with seed scattered across the surface. No views being now surrounded by matured wood land. Done with Nozzer. Ran up from Oughtibridge. 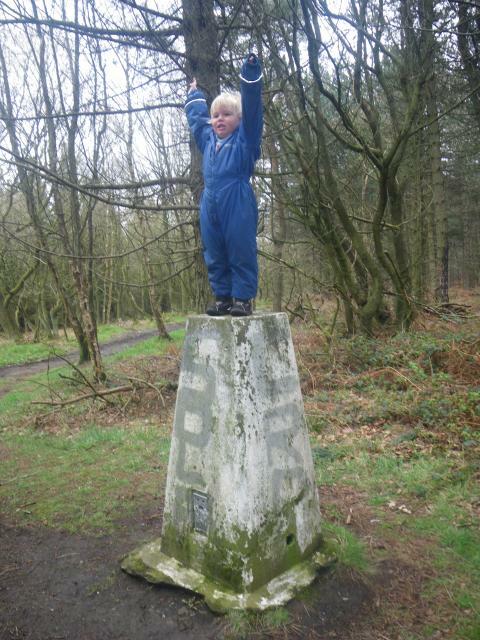 Lovely climb through Wharncliffe woods! 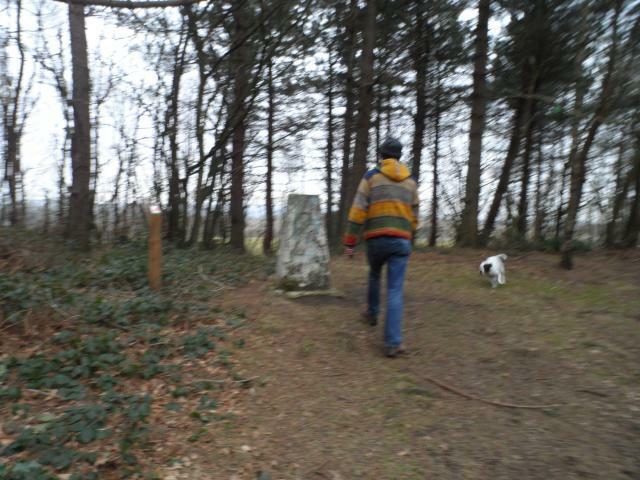 straightforward jaunt up the horse loop footpath to the pillar. 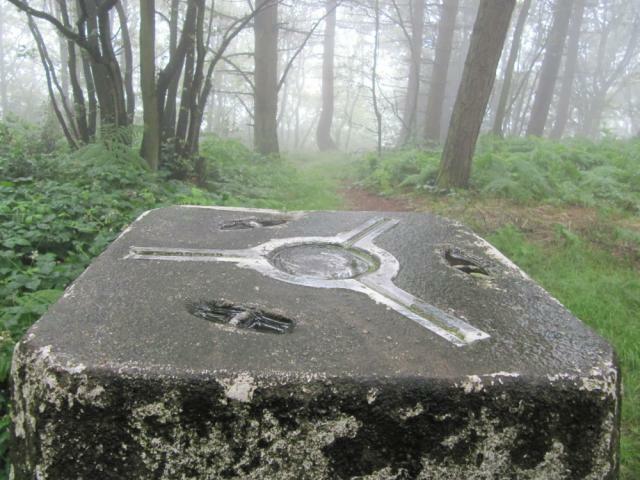 From car park to the south en route to Wharncliffe Chase. Now onto the nearby Intersected Station. 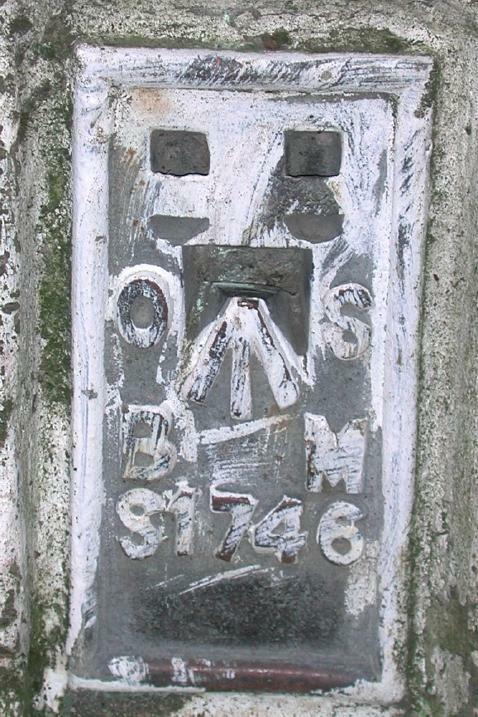 Pillar has been painted since previous logs. Parking on the road to the W then quick nip along ROW, Pillar good condition, no views. 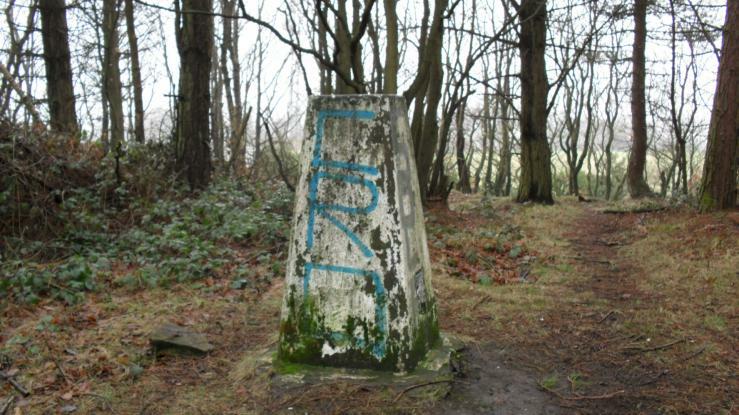 Easy parking small walk through wood trig has graffiti nice wooded area. Time to stop for a tangerine and then off again on my long plod. 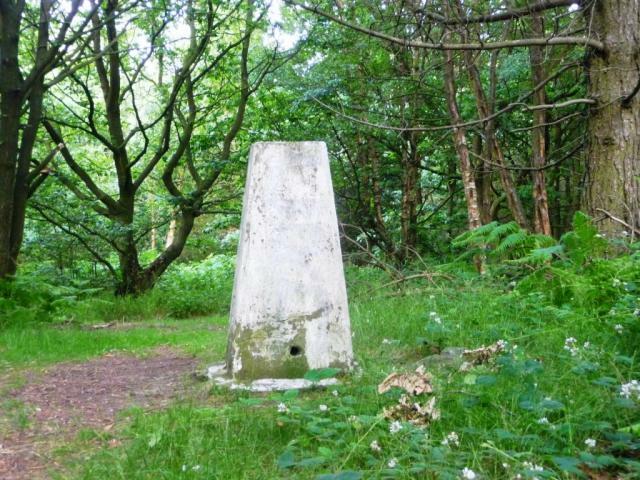 I walked up from Chapeltown Station on a 4 trig walk on day off. Plastic cap. 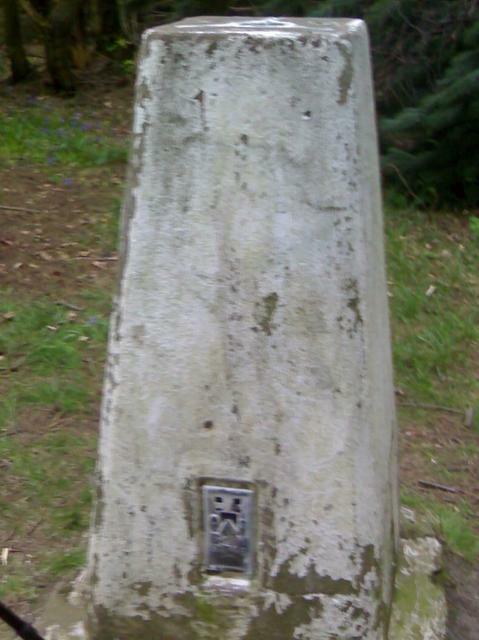 Crack at 30cm height. 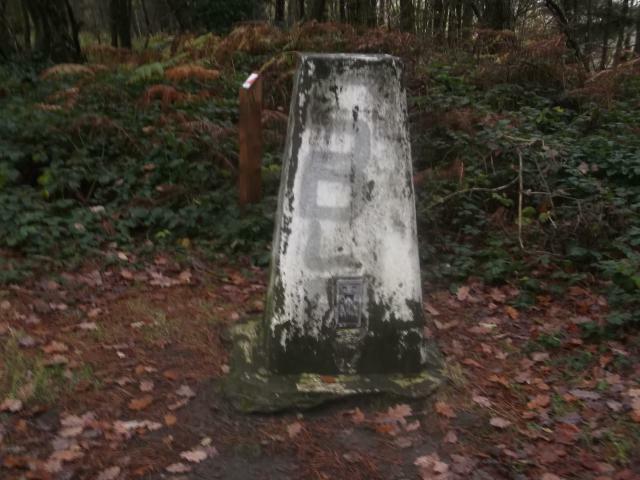 Located by orienteering marker. 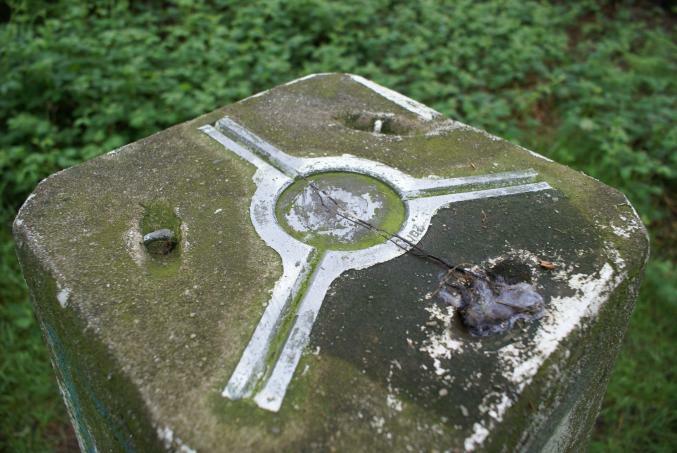 Easy to find trig. No view because of the trees. Revisit. Graffiti but could be worse. 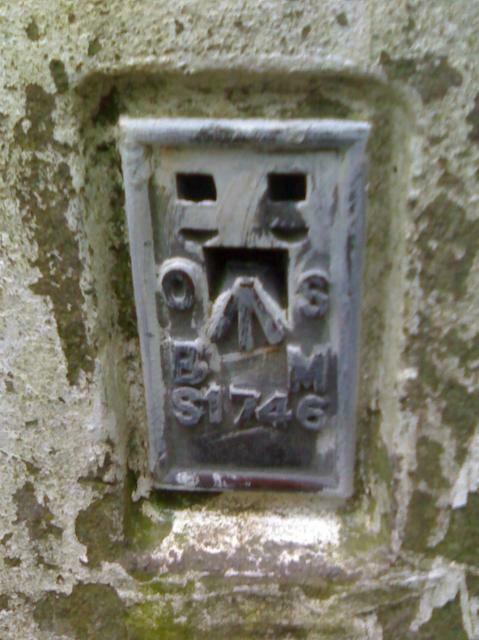 Plastic plug cover. Less humid under the tree cover. Grafitti covered pillar with no view. 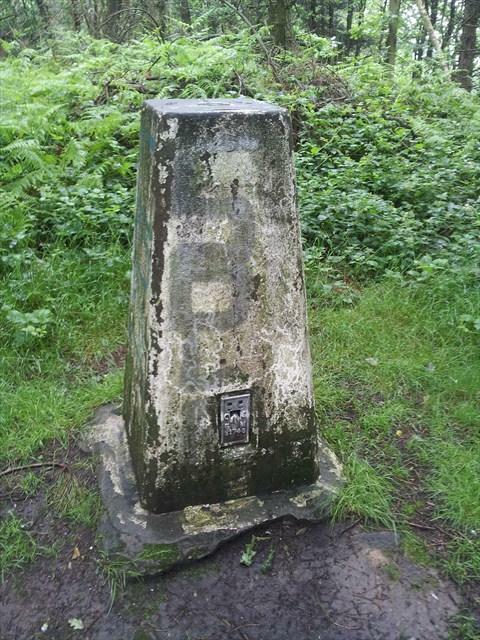 Returned to the Birley Stone from Top End trig pillar then continued NW along Birley Edge to Prior Royd. 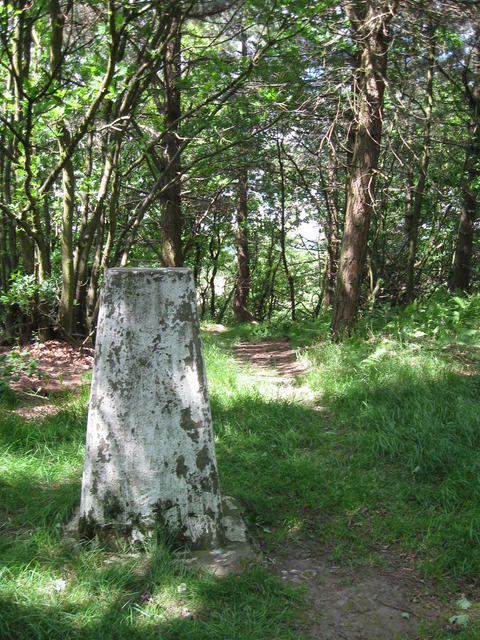 Followed the PROW around the perimeter of Prior Royd but didn't pay close enough attention to my map or compass and as a result I ended up wandering through Wheata Wood. Eventually emerged onto Woodhead Rd at instead of the intended. Resin plug . Graffiti . Revisit. 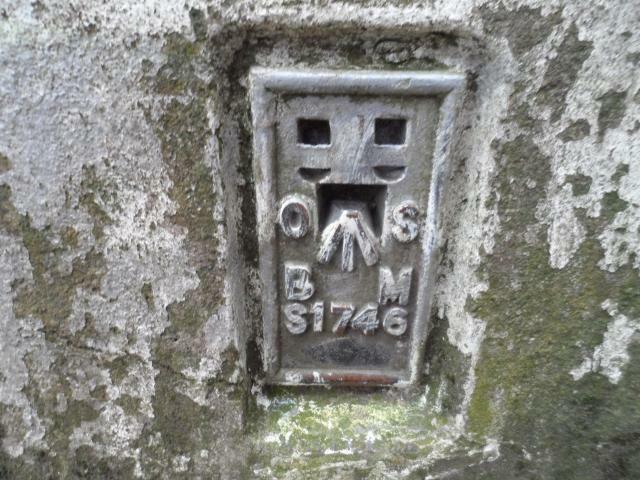 Plastic plug cover and the expected graffiti. 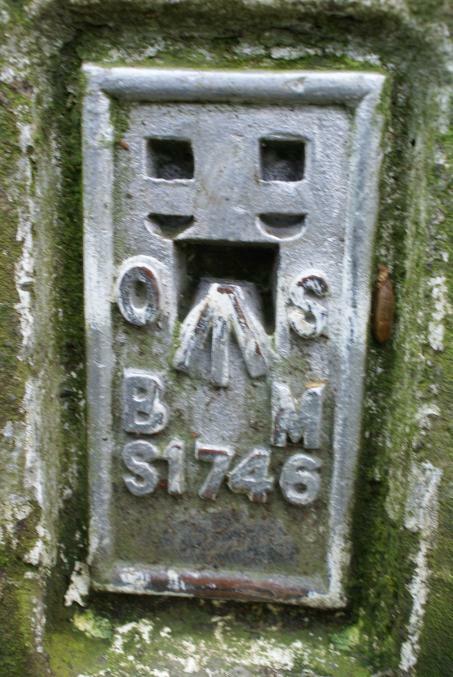 Presumably the OS chose this location for views to S - before the trees grew up. 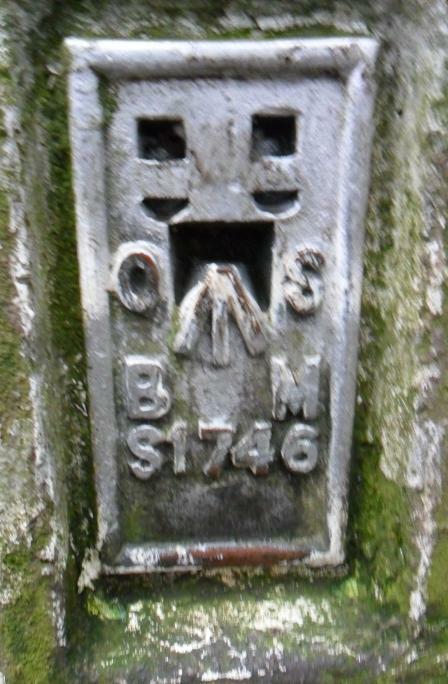 Parked at side of lane at entrance to footpath at SK 3229 9568 - the north end of Greno Woods. I walked up through the mud and turned SE. 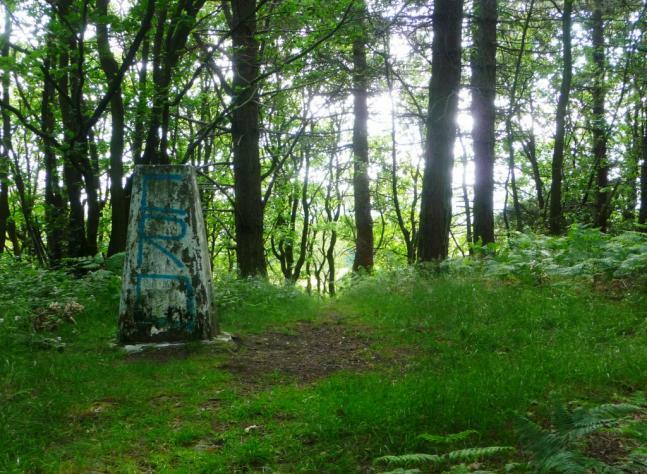 The pillar is just off the main path and has been graffitied. 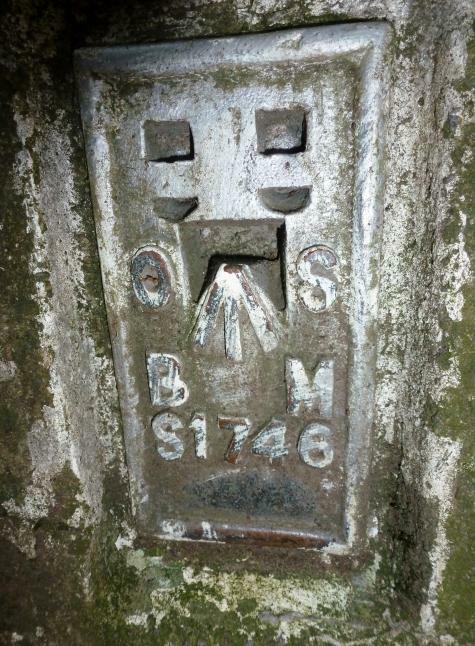 Pillar has ?metal replacement cap; FB faces NNW; WSW sighthole open; others plugged. 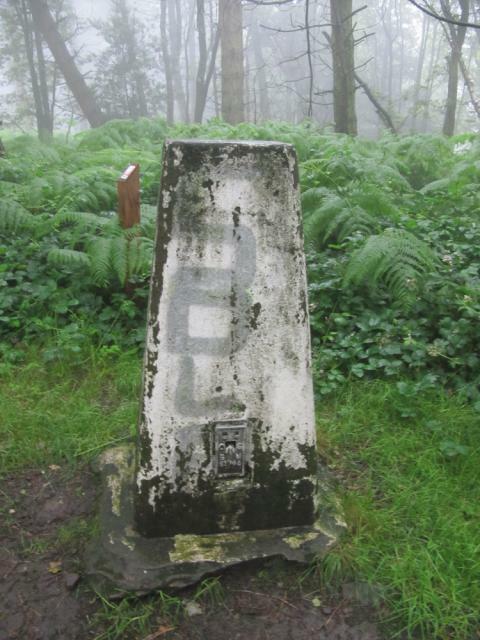 No views from the pillar itself - it's entirely surrounded by trees. Quite easy to find. Parked on the road and followed a public footpath. 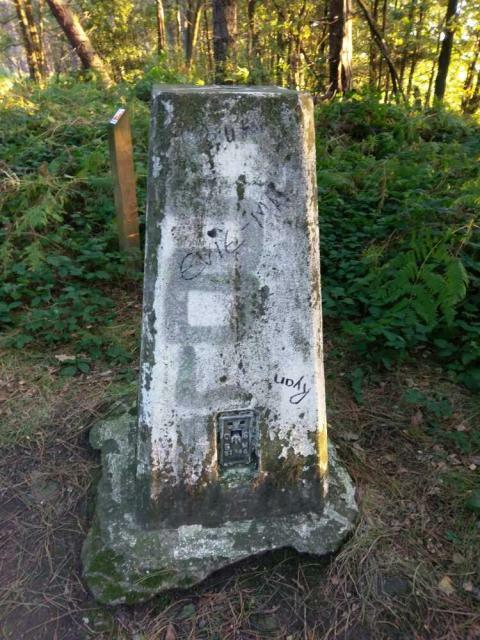 Logged as slightly damaged as the structure of the pillar itself is fine, but it has been covered in graffiti. 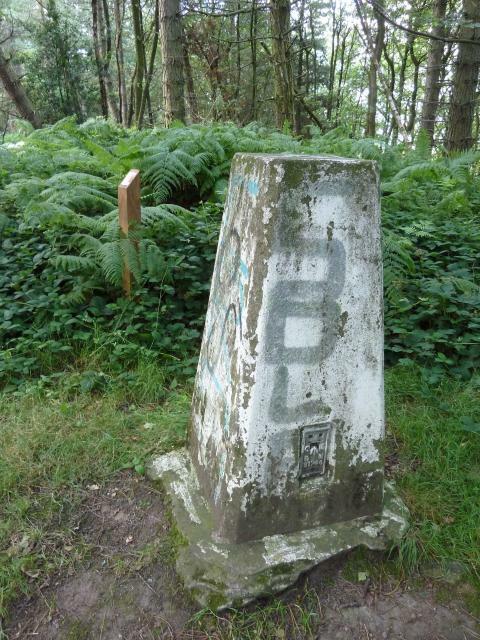 Came this way to bag the nearby Monica (HuMP) and parked not far from the trig. 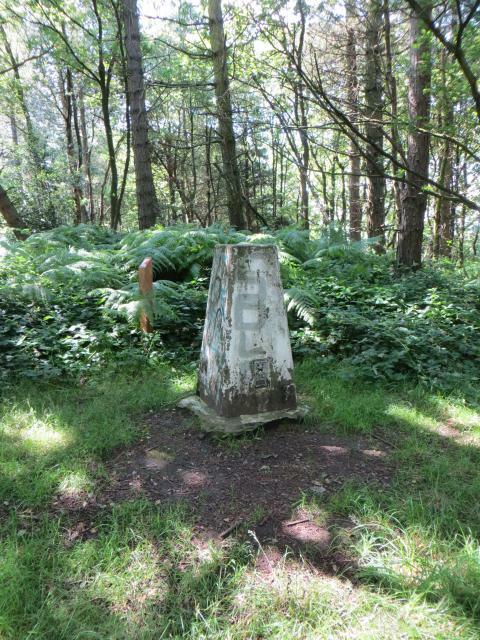 Grabbed a cache and then this trig nestling neatly in the woods. Christmas shopping at Meadowhall, decided that after that some trigging was needed. 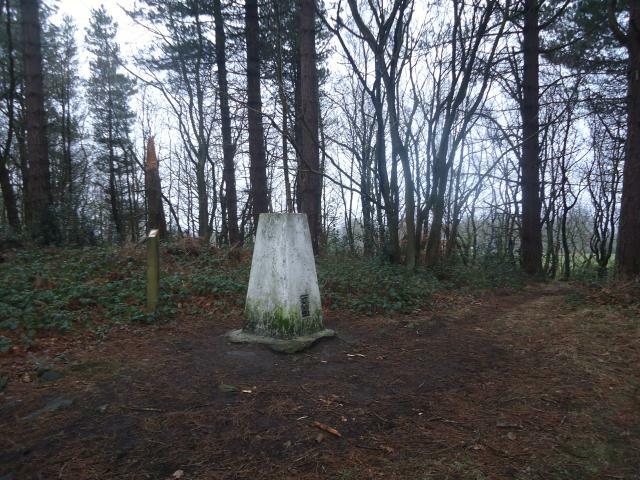 Parked in car park to S on Woodhead road and a short muddy walk up through Greno Wood. 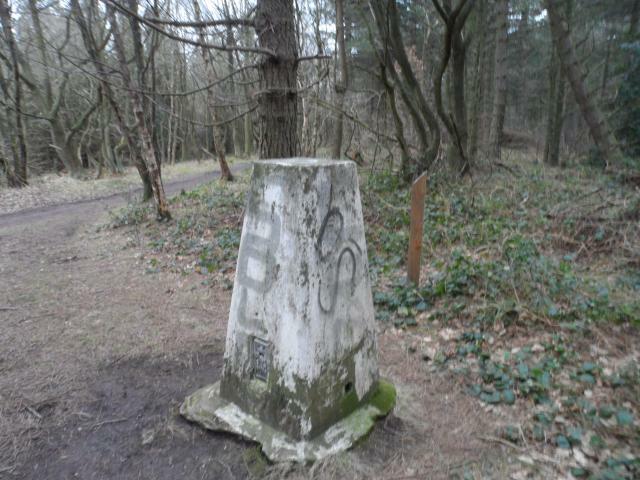 Some graffiti on pillar, but otherwise in good condition and easily found just to W of footpath. No view from pillar due to trees, shame as this is over 300m, although good view back towards Ferrybridge and home nearby and still a bit of snow and ice on the nearby tops. Parked in layby just down the hill from the mast. 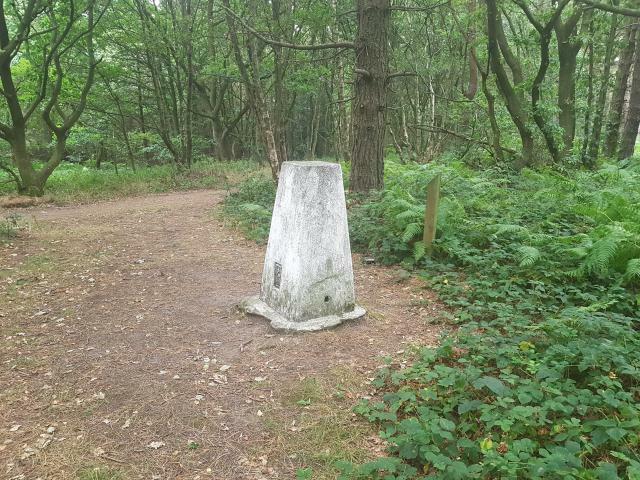 Trig is a short distance away in the wood. Some graffiti on each side. last of the three working my way up the hill from Hillsborough. 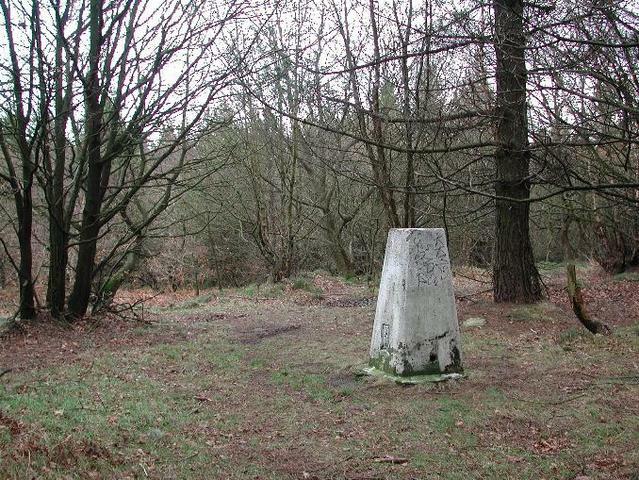 5/5 Called here on the way home after an excellent day walking and trigging.In a wood so limited views and grafitti on the trig. 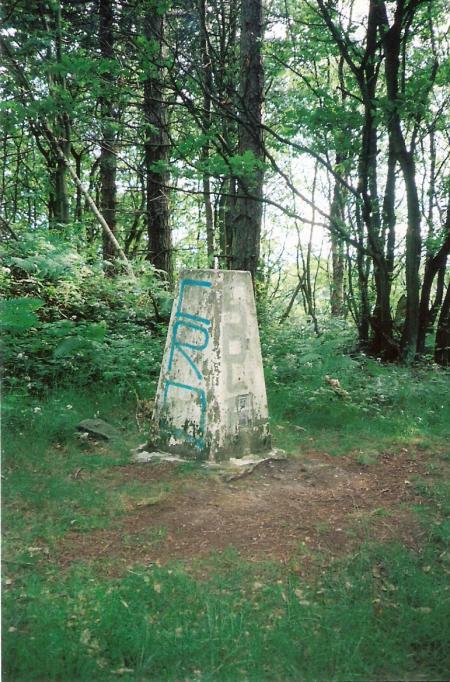 This was the last trig photographed with my film camera before I went digital! 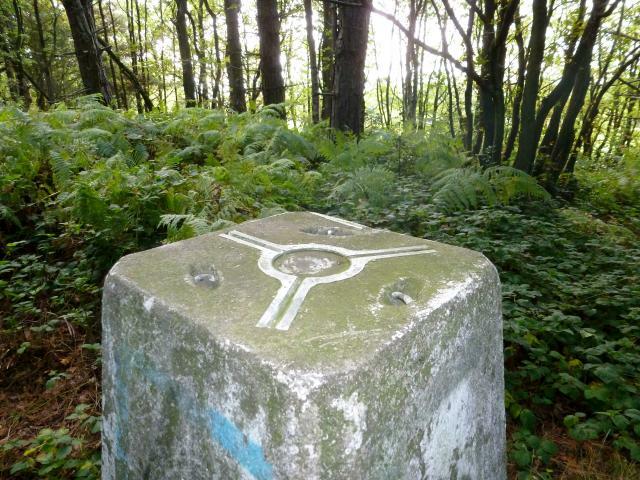 The last of five trigpoints for the day visited with CURRYSCRIM. 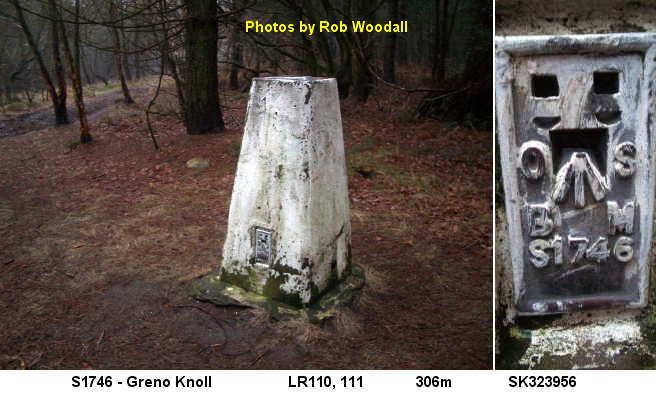 Parked at the north entrance to Greno Woods � seems a very popular nature reserve � but not a good trigpoint location. 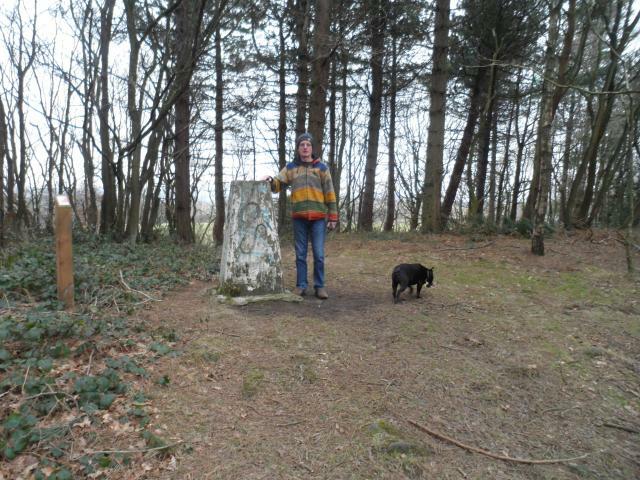 Greno Woods delightful in the sun and have kept the rain showers off. Shame you don't get views in the wood but you can find some good vista in different directions nearby. Bike ride from S Sheffield to N Sheffield. 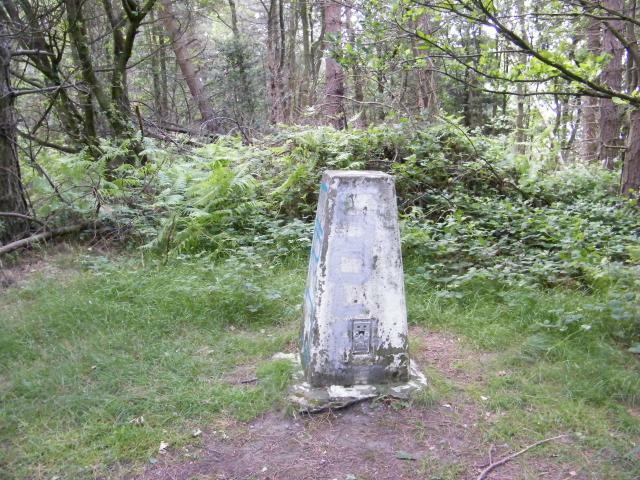 Easy trig to find in Greno Wood, just off a footpath. 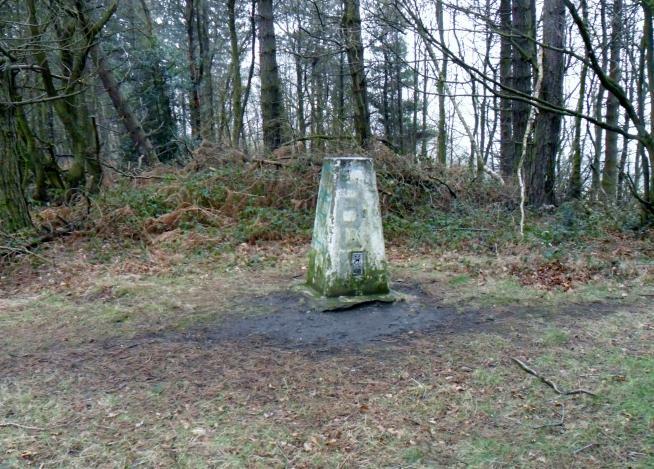 There would have been views but trees now surround the site. By the road there are some views are to the W and NE. In good condition but with lots of bright blue graffiti. 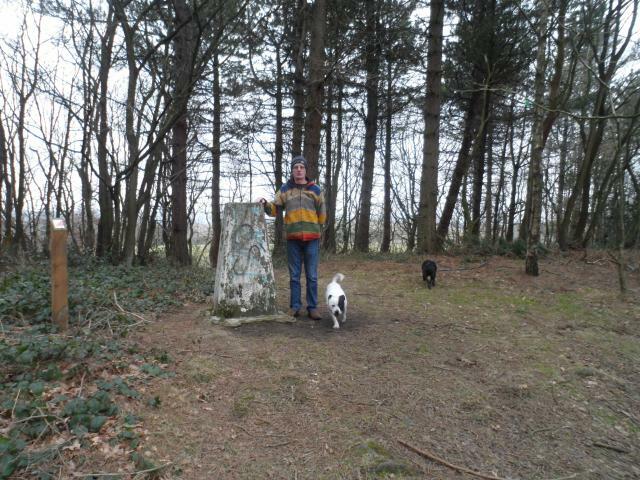 in the area geocaching,walked up through the woods,found easily enough,pity walk up wasnt lol. Looked lovely in the snow. On a public foot through the woods,just off the road. Looks like the woodland is for sale. 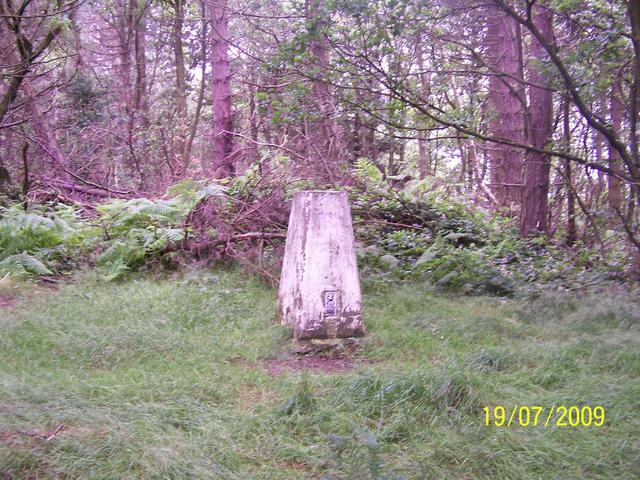 In woodland beside minor road.No views to speak of. 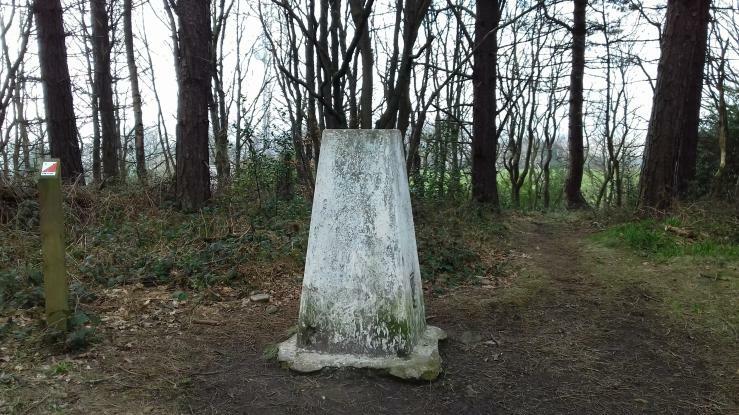 located in lovely deciduous woodland, limited views when trees are in full leaf. Accessible and visible. At side of woodland path. 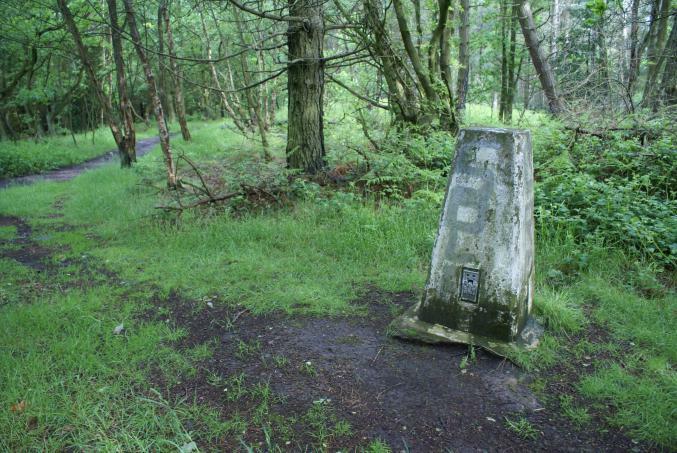 Unfortunately the area is criss-crossed with paths and in woodland the GPS was not much help. Found with perseverance. Later found that I had entered the wood too soon. 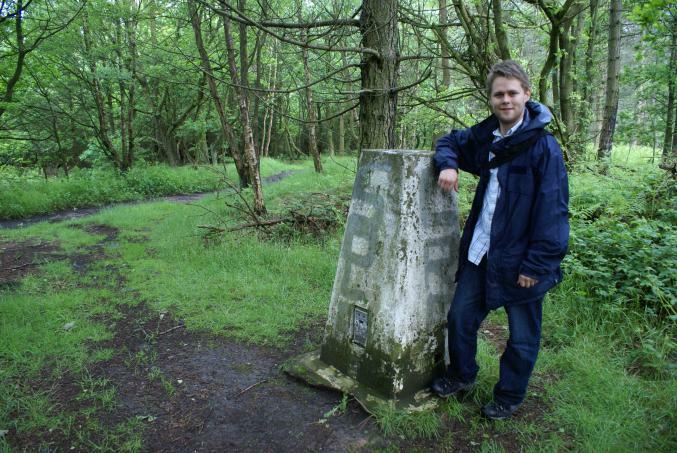 Use the path opposite the radio mast and you will soon bump into the pillar. 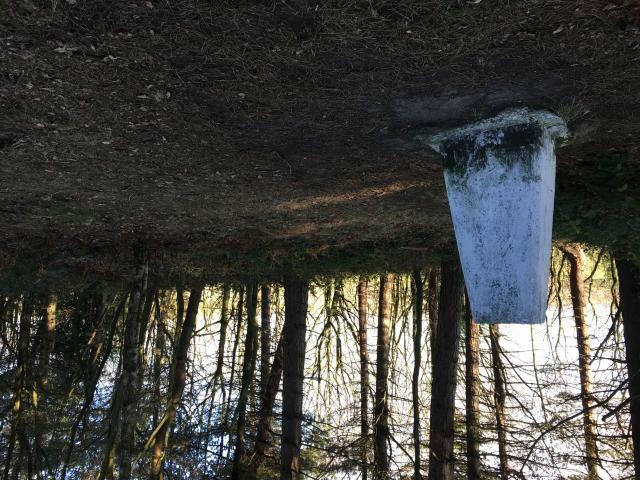 No views set deep in woodland. 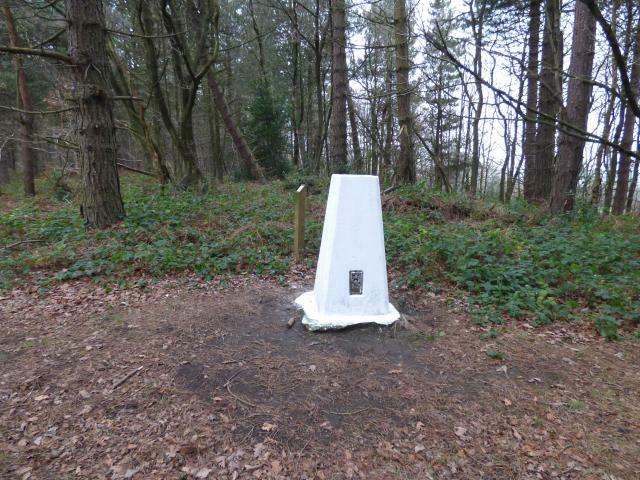 In good condition considering the numbers of people that will have access to it. 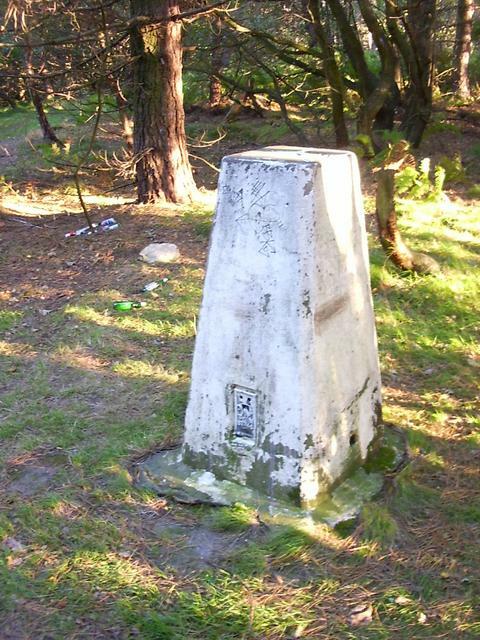 First of 4 trigs today on bike ride parked car in car park just down the road (Woodhead Road) grid ref SK 32529 94937 other trigs Top end, Birley Edge,Loxley Common. path from the road through the woods, no view. 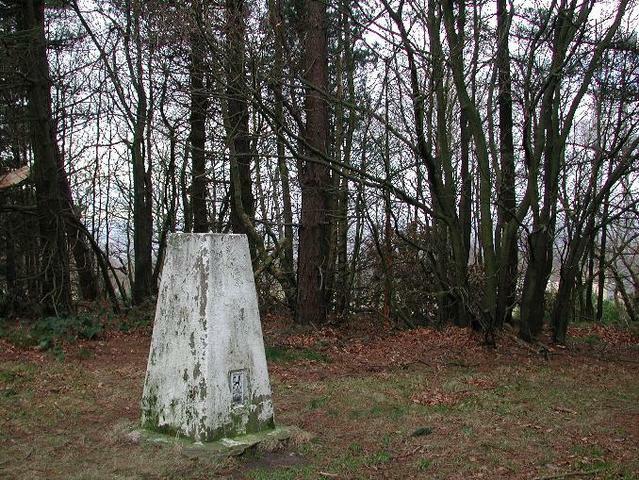 Pull in to N and S of the trig on the roadside then an easy walk though the woods. Views compromised by trees,though there is some thinning going on. Easy access from road. 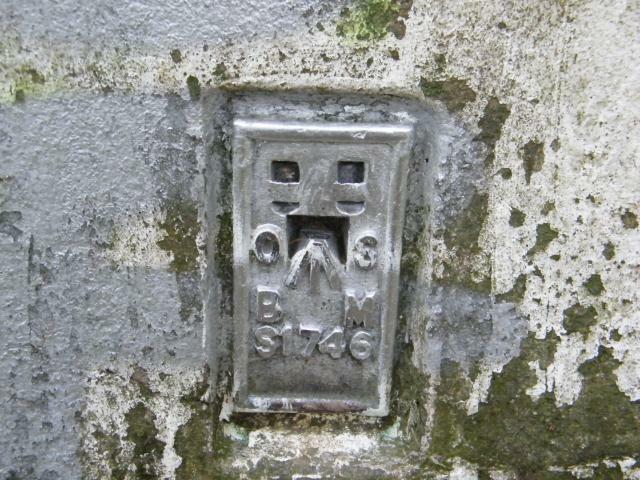 Graffiti; plastic plug cover; 1 sighting hole open. Would have good views if it wasn't for all the trees! 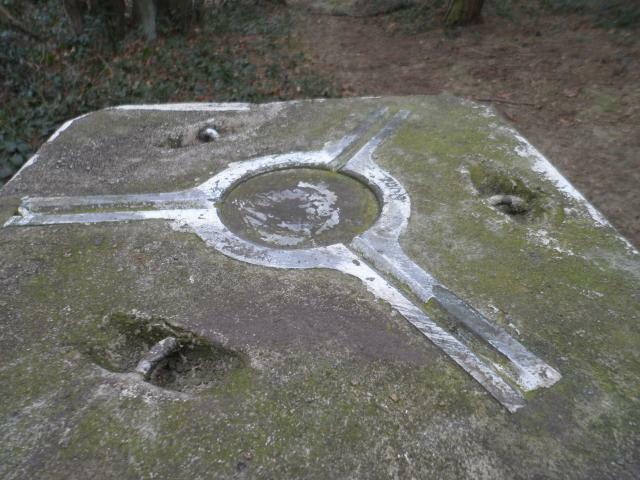 White painted at sometime, surrounded by trees so no views. 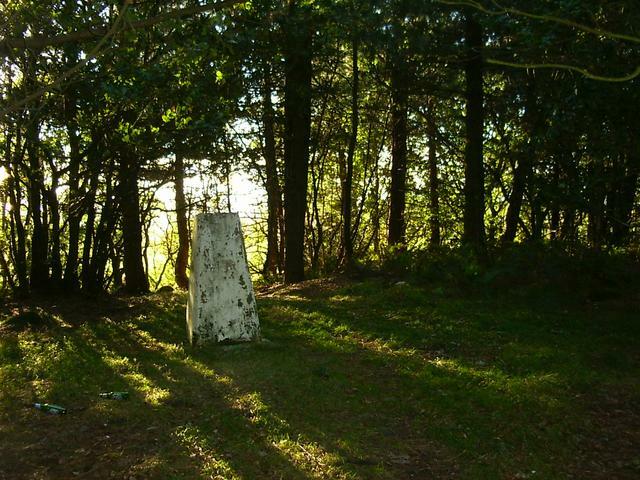 Trees have grown around this trig now, giving it an erie and mysterious appearance! 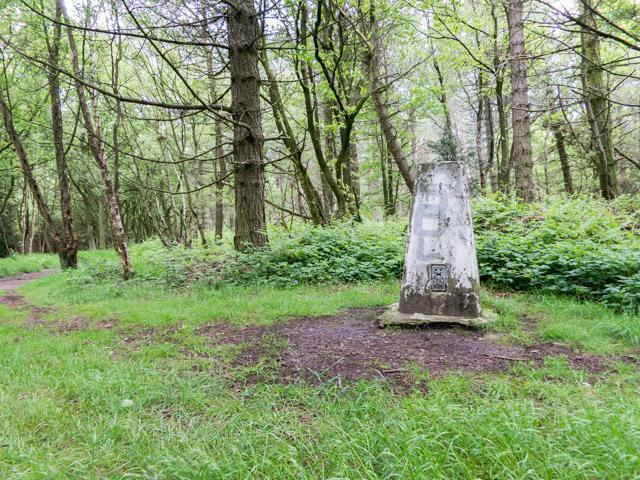 Pillar in grassy/heathery area in mixed forestry.